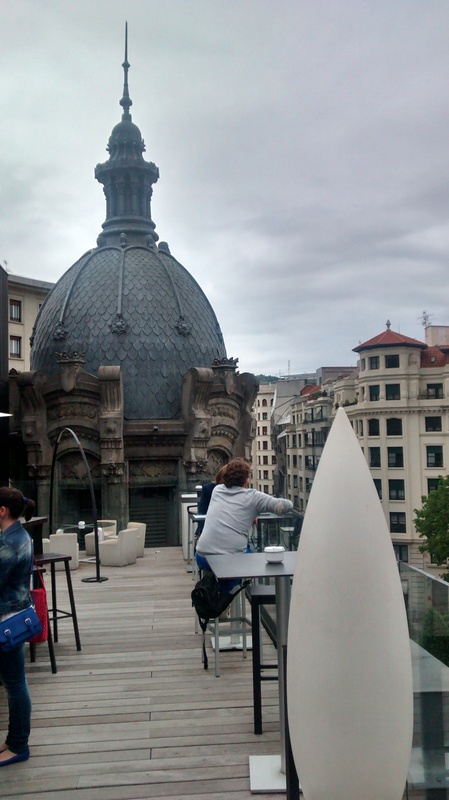 2) Alhóndiga, the former wine warehouse located on the very center of Bilbao, now a public cultural and leisure center. Its interior has been singularly designed by acclaimed designer Philippe Starck, and it has a great rooftop bar where you can enjoy great music and views. 4) Henao and Heros streets area, close to renovated Jado square (the one with the lions fountain in the center), where new bars have added life to this beautiful resident area. Mr Wonderful, Coppola pizzeria (in Barrainkua st), Singular, Residence, El Txoko de Gabi, Las Cepas…excellent pintxos and wine route, as well as good live music. 5) Bacaicoa bar, in Unamuno square, Old Town…the best pintxo of grilled mushrooms in town. 6) A ride on the Begoña or Iturribide public elevators, in the Old Town, for the very best views of the Old Town of Bilbao from above. Very cheap and a great experience as a local. 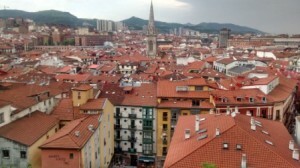 7) A ride on the Funicular of Artxanda, from Castaños street…definitely the best views of the whole city from above…just turn left when you get up to get to the view point. 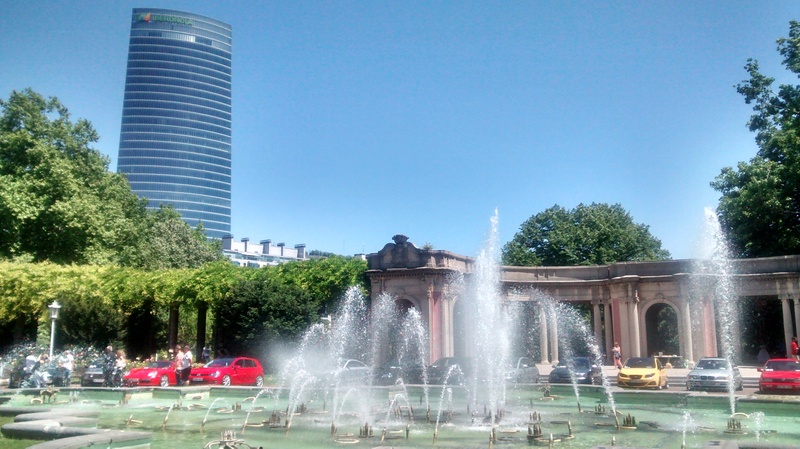 9) Doña Casilda Park, or “park of the ducks”, as we used to name it when kids…lovely public gardens in Bilbao, right behind the Meliá hotel. Perfect place to relax and enjoy the coolness of its shady trees and pond. 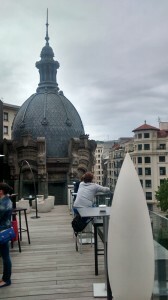 This entry was posted in Attractions, Basque, bilbao, Bizkaia, Food, pintxos, Wine and tagged bacaicoa, Bilbao, casilda park, mushrooms, pintxos, places on July 8, 2014 by Mugalari.